In 1904, a two-teacher school was built in the Glenwood community on an acre of donated land. A.L. Bright was the principal. Brice and his siblings would later ride a jitney bus over the mountain to go to school in this community, between their valley and Marion. In 1905, the chartered mining operations at Vein Mountain run by General Thomas H. Hubbard hired Miles Flack who had a store near Brackett Town to be their agent. He was instructed “never evict a Civil War veteran from the property” and do not charge rent to anyone living on company property. (History of McDowell County). A unique company policy, but an attempt to unite patriots. Very commendable: peace starts with one person, me. 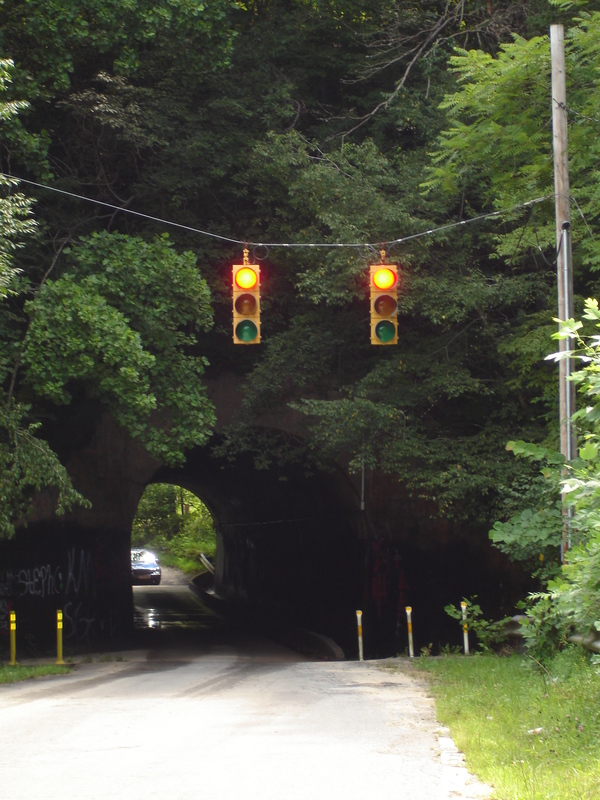 Of all the changes in this county, one constant is the tunnel on Vein Mountain road that today still runs one lane wide under the railroad. There are traffic lights that are sensitive to movement, and motorists rely on its accuracy because the eastern approach is on a blind curve. This is part of the visitor’s tour that every resident shows to friends and families from more sophisticated areas of the country. We have rural charm. This entry was posted in Brackett Town Saga, Characters and tagged Brackett Town, Vein Mountain Tunnel. Bookmark the permalink. Thanks for a story that might have never been told. My pleasure, Mike. There are so many folks who live their lives, without awards, true to their solid values and their faith. Together they raise up the next generation, and I am grateful. You are among them, my friend.